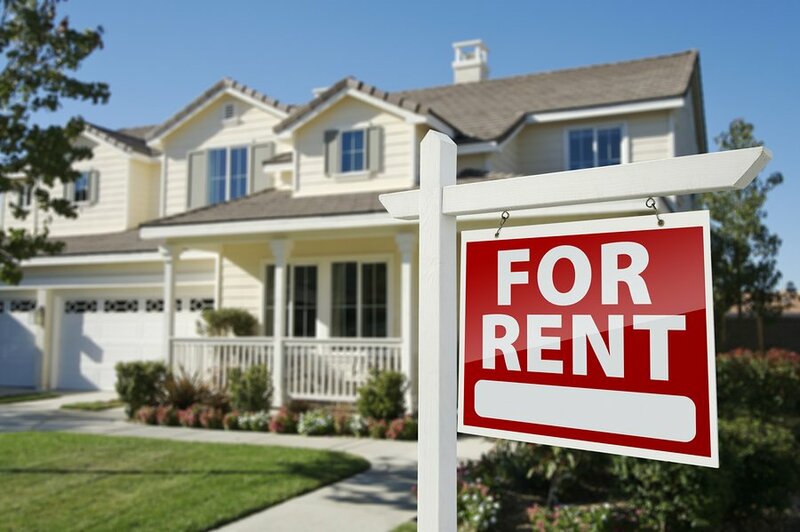 If a prospective tenant visits your office looking for a list of available rentals, complete with photos and details, Rentec Direct landlords and property managers can now provide one! 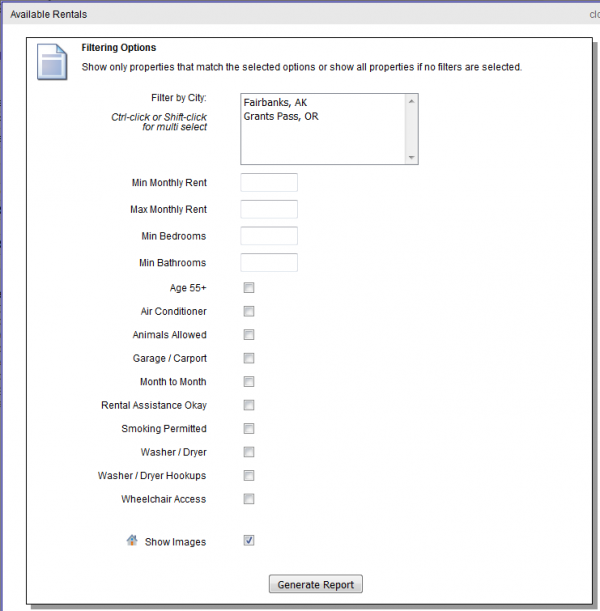 A new feature from Rentec Direct offers the ability to print out an available property report with filtering for criteria such as maximum rent and the number of bedrooms and bathrooms. The report also includes a checklist for features like wheelchair access, age 55+, washer / dryer hookups and a ton of other selections. 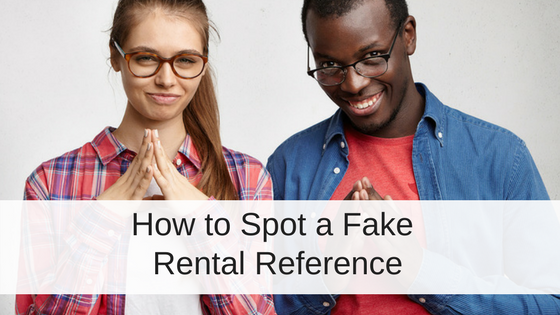 Keep reading to discover how to create an available rentals report to share with prospective tenants. To begin, visit each property’s marketing info page and select the Search Criteria that best describes its features and location. Visit the Reports tab and select Misc. Reports. At the top, click Available Units. 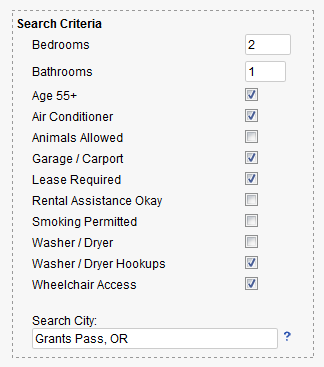 You will be presented with a filtering list to show only the properties that match the items you select. To show all your properties, don’t select any filters. 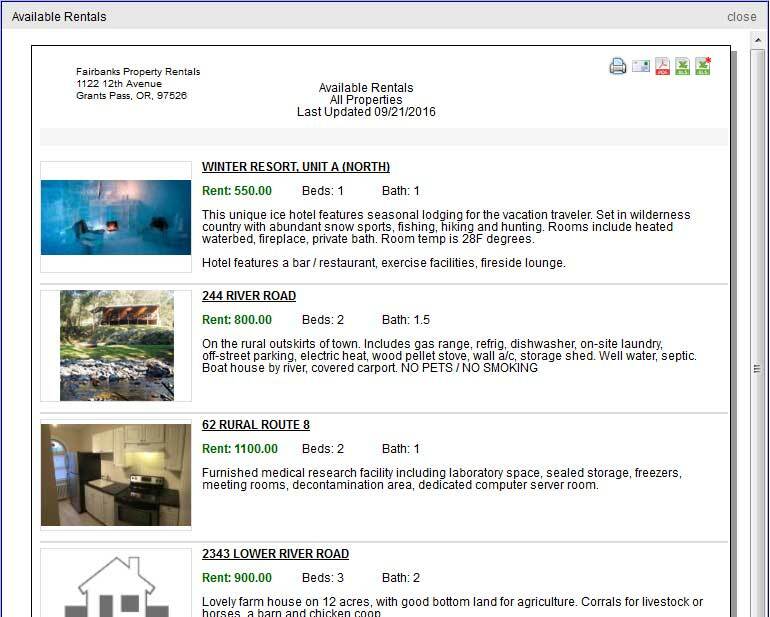 You also have the option not to show thumbnail images, in order to list more properties on each printed page. This feature addition is a result of feedback from Rentec Direct clients like yourself. Want to help the Rentec Direct development team know what to work on next? 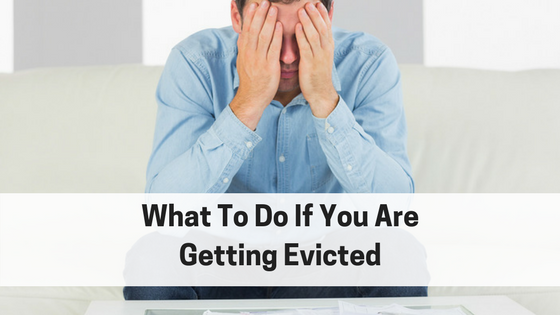 Let us know in the comments or visit our article on How to Vote on Feature Requests. We are always working to improve the application and bulk actions capability is on the feature request list. We are interested in what specific actions you would like the system to offer to improve your workflow. One of your client success representatives will be contacting you shortly to learn more. Thanks for commenting and letting us know what you would like from the Rentec Direct system.